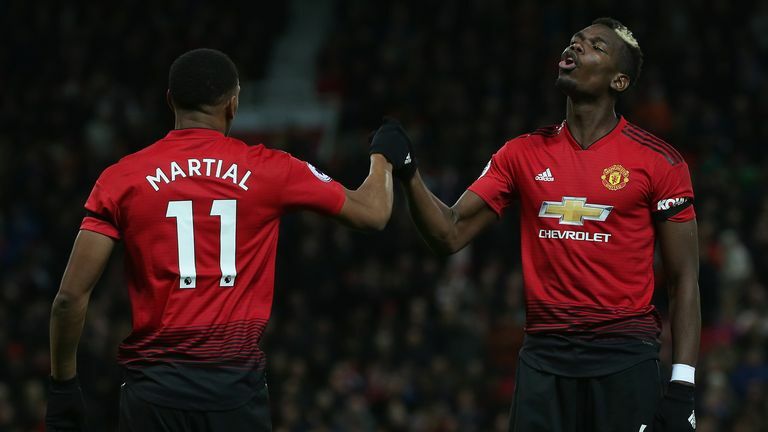 Anthony Martial's Manchester United team-mate Nemanja Matic thinks the young French forward can become one of the Premier League's best. But Matic added that Martial needs to have more belief in his own ability. 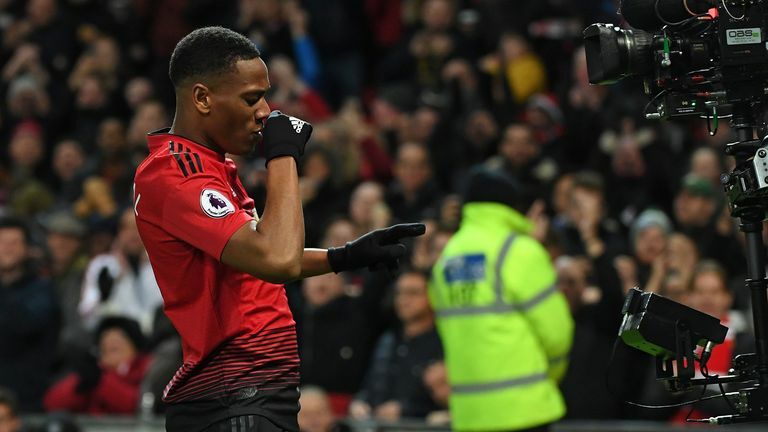 Martial scored a stunning goal in Sunday's 2-1 defeat of Everton and was named man of the match. Matic said: "Anthony is a great player and he needs to understand that. "He needs more confidence. He is still young and I think, if he continues to score in the next game, he will get that. "If he reaches his top level, he can be one of the best players in the league for sure. "Sometimes I don't think he understands how good he is. He has everything that a Manchester United football player needs. "If I had his ability with the ball and I was as quick as him, then I wouldn't pass to anyone and I would score every game! "To be serious, he does need more confidence and this comes with results. "When you don't have results, it is very difficult for players to have that high confidence. "If we can get results over the next few games and improve as a team, he will show that he is very important for us." Asked if senior players like himself have told Martial just how good he can be, Matic said: "The manager speaks with him about it. I have told him once! "The quality is there, confidence is there now, and he just needs to be more consistent. I am glad we have him in the team." Matic is also adamant that out-of-form striker Romelu Lukaku will get back on track. After eight scoreless appearances for United, the Belgium international was dropped to the bench when his former club Everton visited Old Trafford on Sunday. "He is a great player for sure," Matic said. "He has scored a lot of goals for United, so I don't see any problems for him. "He's a great guy who works hard and works for the team. Sometimes he doesn't get the goals but he is still working for us. "He will start to score again soon. I believe that."